Movement – a lost art…. Many moons ago, movement was never a choice for humanity…it was essential for survival. To hunt and gather food, to relocate to greener pastures and better weather, to find water and to tend to crop and livestock, all required, continual movement. Nowadays, we have decided movement is a chore, something we ‘should’ do, but often put at the VERY bottom of our priority list and in some cases, avoid at all costs. This attitude is detrimental, for so many reasons. However, I attempt to be a positive person, so in place of outlining why lack of physicality is a huge backward step for our existence; (ie. Being inactive ranks closely behind smoking for contributing to ill health…. !!!) I am going to share instead why movement is marvellous! Now it’s not all lyrca and lulu lemon! This fashion revival of “Active Wear” (which is rarely put through its paces mind you) I feel, has created an even bigger void between our couch and the great outdoors. The stigma that movement or exercise requires a taut and trim body, clad with branded clothing and an elite yoga studio, is depressing. Somehow, Somewhere, the joy of movement got sucked into a vortex of consumerism and selfies. Let’s wash that filtered, Instagram, heavily unrealistic, photoshopped notion – right out of our hair! Movement, as the dictionary states is “the act or process of moving; especially: change of place or position or posture.” No need for fancy foot wear for that, hey? When we move, not only are we keeping our muscles strengthened, our lymphatic system pumping, our blood flowing and our organs massaged – we are actively supporting our mental health concurrently. A research article published from Harvard Medical School supports this stance. At one point in time, we have all had to ‘walk something off’ or “clear our head.” Exercise not only re-oxygenates the body, renewing our cellular response, but allows for a clear perspective. The gentle art of movement can offer the opportunity for pent up energy and emotions to be released and grounded. Movement has been shown to reduce anxiety and depression, increasing the production of feel good neurotransmitters and happy brain chemicals. The positive effects exercise can have on our being extends far and wide – from increased longevity and balanced hormones to decreased inflammation and lower disease risk. Our body truly thrives on moving! So, with all these life-giving benefits, why do we still resist!? We have sculptured our lives to be oh so hectic and this usurpingly effects our energy levels. Often, many of us are running on an empty tank and have been dipping very heavily into our reserves for quite some time. This is where Mitochondria – the little power houses within our cells – come into play. These structures work tirelessly to convert the energy gained from food into viable energy to power our muscles and support our bodies tissues. What do they have to do with energy and movement I hear you ask? When we move and exercise, we make more mitochondria…more of these fabulous cells equates to more energy. An article from https://www.brookings.edu/opinions/exercise-increases-productivity/ sums this up perfectly. “Mitochondria produce the chemical that your body uses as energy, known as ATP. Physical exercise stimulates the development of new mitochondria within your cells, meaning that your body will be able to produce more ATP over time. That gives you more energy to exert yourself physically, but it also means more energy for your brain, boosting your mental output. In short – the more we move or enhance our physicality, the more energy our body creates, so the more oomph we have to go about our days. Mentally, Physically and Emotionally. So how much is enough? How often do we need to move, to reap the rewards? The Australian Government Department of Health recommends adults from the age of 18 and above would ideally benefit from “Accumulat(ing) 150 to 300 minutes (2 ½ to 5 hours) of moderate intensity physical activity OR 75 to 150 minutes (1 ¼ to 2 ½ hours) of vigorous intensity physical activity, or an equivalent combination of both moderate and vigorous activities, each week.”  Say what?!? In simple terms, over the course of a 7-day week, dedicating just 30 minutes daily to movement, will enhance your well-being and longevity enormously. This doesn’t need to become intense and over achieving exercise each and every day – mix it up. Start to tune into your body and ask what would support your being on this given day. 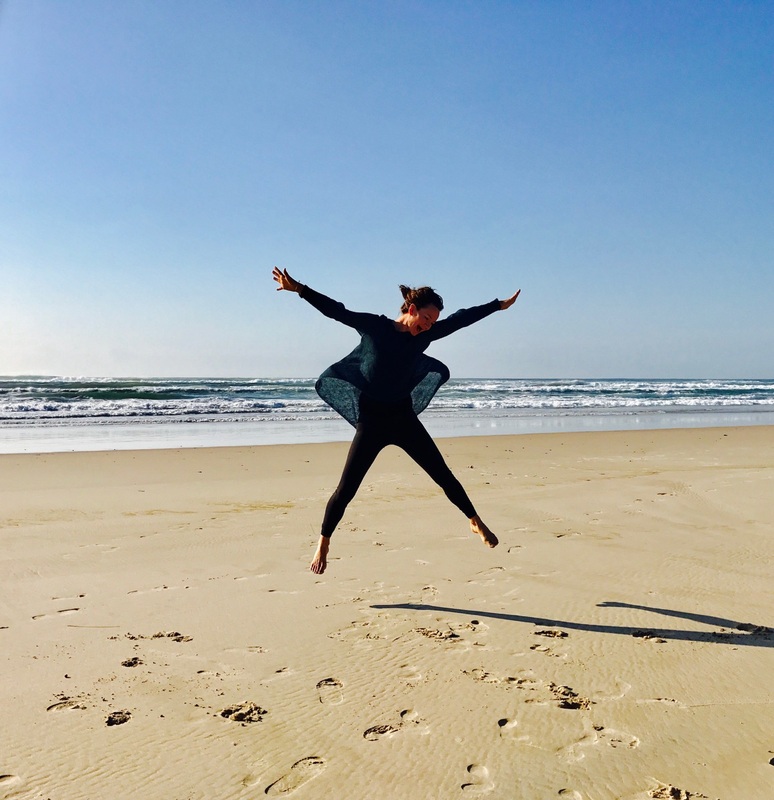 Carve out some time in your schedule to prioritise simply moving, and then choose…Perhaps a stroll on the beach, perhaps an impromptu dance off in the kitchen or perhaps a more structured approach like taking a class. Personalise your style of physicality. Make it work for you. Then allow the benefits of more lubricated joints, stronger muscles, a happy heart and improved mental clarity support you to further Flourish. Affirmation – Moving my being allows me to feel free, strong and joyful in body, mind and spirit. This entry was posted in Blog posts on June 10, 2018 by Tory Breheny.